My favorite shoe trend over the last couple of years has been the open-toed bootie (OTB). 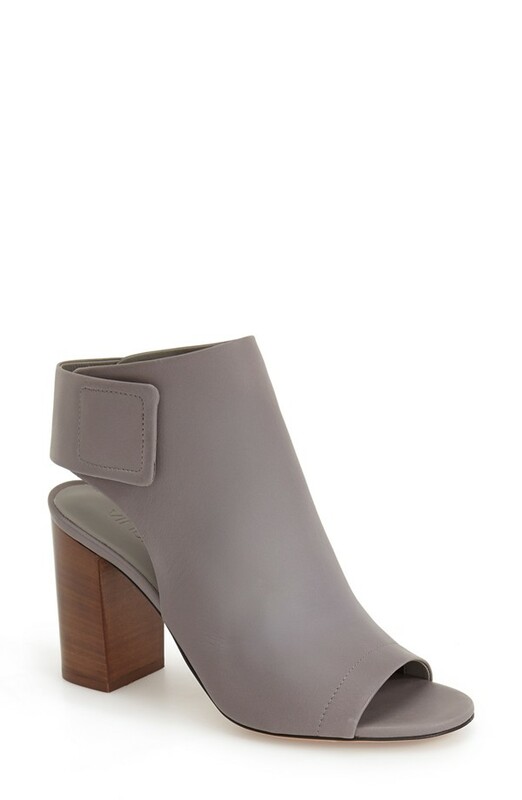 The style merges the comfort of a block heeled boot with the lightness of an open-toed pump for an effortlessly cool look. Any wardrobe item that can do more than one thing is always at the top of my list. 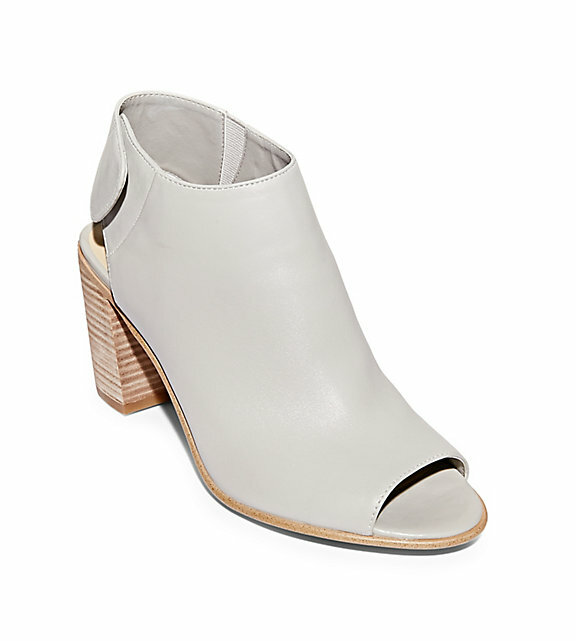 Open-toed booties are really, really versatile. OTBs can be worn to work, out to brunch, running errands, or for going out. The OTB color trend that has really caught my eye this spring is light grey. Light grey is perfectly neutral and lightens up your spring-summer looks. Here are my spendy and not-as-spendy finds, click the link in the heading to get your own pair of OTBs.